Alternative energy solutions exist, the Water Fuel Cell was invented by Stanley Meyers back in the 1980s, he was poisoned in 1998 at a restaurant, probably by oil barons. A few years before Stanley was murdered he gave a presentation on his water fuel cells, in the presentation, Meyer describes a molecular, chemical and electrical level of how water can be used as fuel -- not just as a gas, but for domestic and industrial electrical generation. Meyers was also the holder of 40 patents. Ten years later Honda launched a water fuel cell car that also has the capability to provide domestic power for a house, this probably evolved from Stanley Meyers original design. Honda made this car available to the Hollywood elite in 2003, now they claim to be launching this water fuel cell car to become available in 2016 to the public. However, they are saying that the current lack of infrastructure to support Hydrogen fuel cell technology will need to be worked on, what this actually means is not something a mainstream newspaper will publish, it means that the oligarchy that own the oil and energy companies, will not take kindly to the Water Fuel Cell Car that can also provide domestic power to the home to finally become available to the public market, therefore they will make it difficult for hydrogen processing plants and Water Fuel Cell stations to emerge as part of this supportive infrastructure. When an oil company earns 50 million dollars in profit per hour, they will continue to vehemently repress anything that is threatening to their Oil and Energy Monopoly, it has been clear that the oligarchy wish to control the world's water supplies too, this could be one reason why. Since Nikola Tesla's discoveries of how to use the Aether to tap into the Earth's electrical field, to achieve overunity and after his death, humanity has unknowingly endured over a century or more of this unjust repression of science and monopolization of electricity by the oil-garchy, electricity which should be free and wireless, yet we are not taught the real fundamental laws of physics, a large portion of science involving the fifth element, the Aether is hidden and repressed from human knowledge. It is important to highlight the fact that mainstream science taught in schools and universities is only a tiny segment of a larger science that continues to be kept hidden from humanity. This tiny part that we are familiar with, is used as a propaganda tool to keep the governments in power and people from believing that electrical energy already exists all around us via the Aether it does not need to be generated, it is also known as Chi, Orgone, Prana or Kundalini energy, it has a different name in every culture and what is clearly fascinating is that the Aether has been known to exist by ancient Asian civilizations for over 8000 years, this knowledge forms the basis for the health of Chinese natural medicines and Qigong and Yoga, it is also a lost knowledge in many other great lost civilizations. British Shell Petroleum, which is just one of dozens of different oil companies, makes a net profit of about one hundred million pounds an hour. That is, every hour of every day of every week of every month of every year, they earn an extra one hundred million pounds to play with. Governments, political stakeholders, oil investors and oil companies alike don’t feel comfortable with us knowing this, and they would be quite upset if an inventor comes along and says '’hey wouldn't you like to buy this water-fuel powered car or domestic power generator run by magnets, which will only cost you a few thousand pounds and produces all the electricity that you will ever want, no fuel needed, wouldn't that be great?” The answer is that the oil companies would not like it at all and the people who would like it even less are the government who take in around 85 percent of the cost that we pay at the fuel pump as tax. The executive oil directors and governments will do what they can to prevent any one of us owning a car that runs on anything but oil-based fuel. This power and profit-driven suppression of new alternative technologies for energy efficient vehicles, is the reason why we do not see them offered for sale at an affordable price to all. It is also why many are not granted patents or given the opportunity to be made available for public sale on the ‘free market’. Some key government figures are arm in arm with oil companies worldwide. Politicians and oil barons are often one and the same. Just take a look at the Bush family, while Tony Blair is deeply involved with Egypt and Israel’s gas industry as an energy advisor, it was recently revealed that they are involved with plundering Gaza’s gas ocean-based reserves, which Israel is planning on selling to Egypt. The Labour Party had received up to 2.5 million pounds in donations in less than a year from energy giants as a means to influence a privileged few in their environmental policies to become more flexible for energy industries. The same thing happens in the USA, Oil companies pay politicians through lobbying agencies to influence their policy making decisions, its really a legalized form of bribery so that corporations can own politics and bypass environmental protection laws, this is why we are seeing ecocide and mass extinction at an unprecedented rate between 150 and 200 species are disappearing per day. Brazil's supreme court has just banned Corporations from donating money to political elections. This is a great example of how to deal with this high level of corruption and should be made an international law. 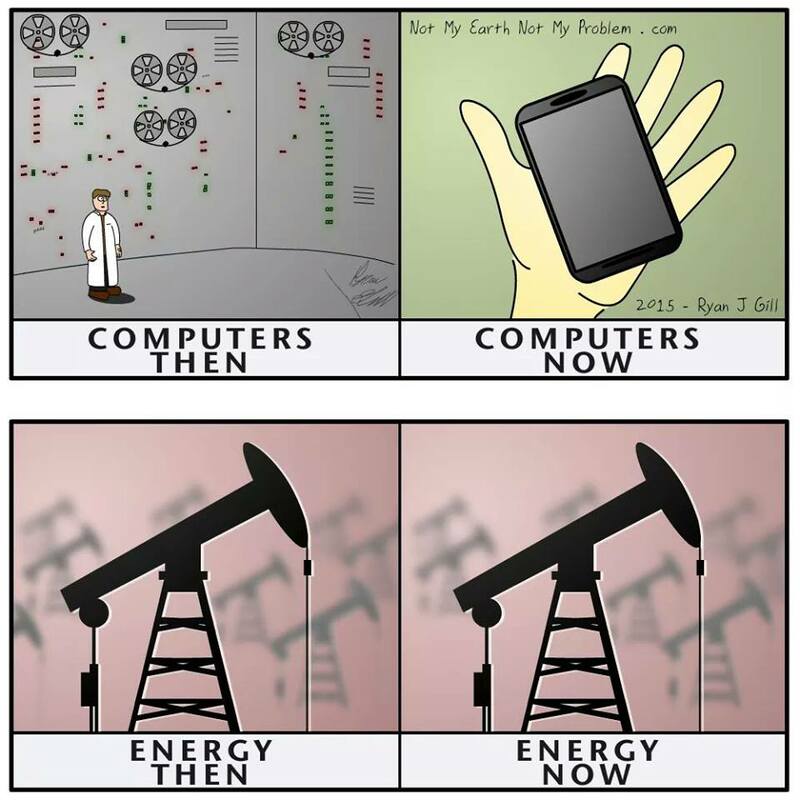 Free Energy is the only solution to ending the destruction of our environment, there are already many advanced solutions in the form of alternative technologies, solutions that should have been available to humanity a long time ago, and yet these are conveniently overlooked by global decision makers, which leads to the simple question “why?” - to protect the oligarchy and their precious monopolies being the obvious answer, however it appears their days are numbered as the ruling monopoly as progress and demand of clean energy technologies are pushing through the adverse barriers set before them because we the people are waking up and demanding cleaner energy. The shift in consciousness is taking place and nothing can stop it unfolding.